Met Gala 2017: Is this the theme of the stylish event? | HELLO! September 01, 2016 - 15:19 BST hellomagazine.com The Met Gala 2017 theme rumours have already started spreading. 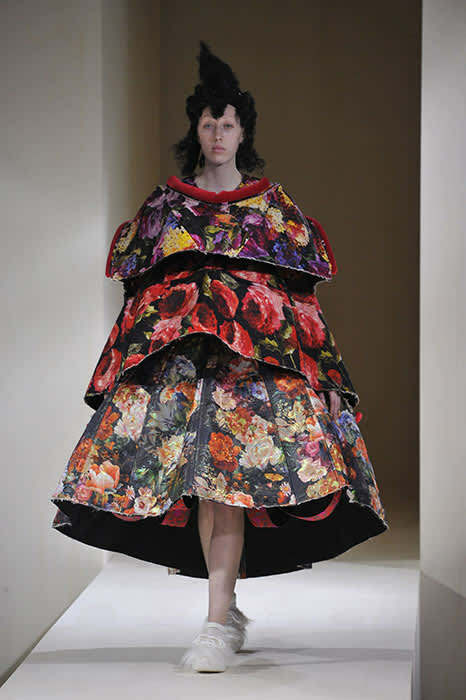 Could Rei Kawakubobe the inspiration for the fashion's biggest event? The Met Gala often sees celebrities taking to the red carpet in an array of weird and wonderful outfits, but the 2017 event could be one of the most daring to date if the latest rumours are anything to go by. Fashion insiders have already been speculating about the theme of next year's gala, with talk suggesting that Rei Kawakubo could be the subject of the spring exhibition. As the designer behind Comme Des Garcons and London's concept Dover Street Market store, it goes without saying that the ball would be inspired by Rei's unique and radical designs – think tiered tent dresses, bold prints and structural silhouettes. The enigmatic designer already has celebrity fans in the form of Lady Gaga and Rihanna, who has previously sat front row at Comme Des Garcons fashion shows. WWD reports that the showcase would be on a similar scale to 2013's hugely popular Alexander McQueen retrospective, Savage Beauty, which went on tour after becoming one of the museum's most visited exhibitions of all time. If rumours are true, it will be only the second time that the Met has dedicated an exhibition to a living fashion designer. The last was a retrospective of Yves Saint Laurent, some 33 years ago. The Met Gala has earned its reputation as the biggest night in fashion, attracting names such as Beyoncé, Sarah Jessica Parker and Cindy Crawford to the red carpet. The 2016 event proved to be another night to remember as celebrities put their own stylish spin on the theme 'Manus x Machina: Fashion in an Age of Technology'. Kim Kardashian and Kanye West named Met Gala's best-dressed couple – and he's very excited!